I took this trip in December 2003 with my roadtrip compadre Margot and she took some of the pictures. 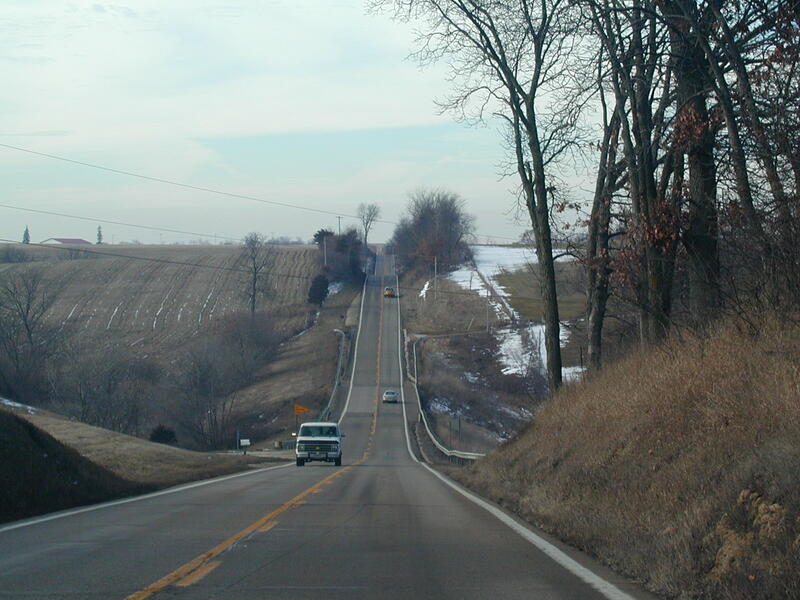 We went up US 20 in Northwest Illinois until we got to the Dubuque area, then went north on WI 35, which hugs the Mississippi. 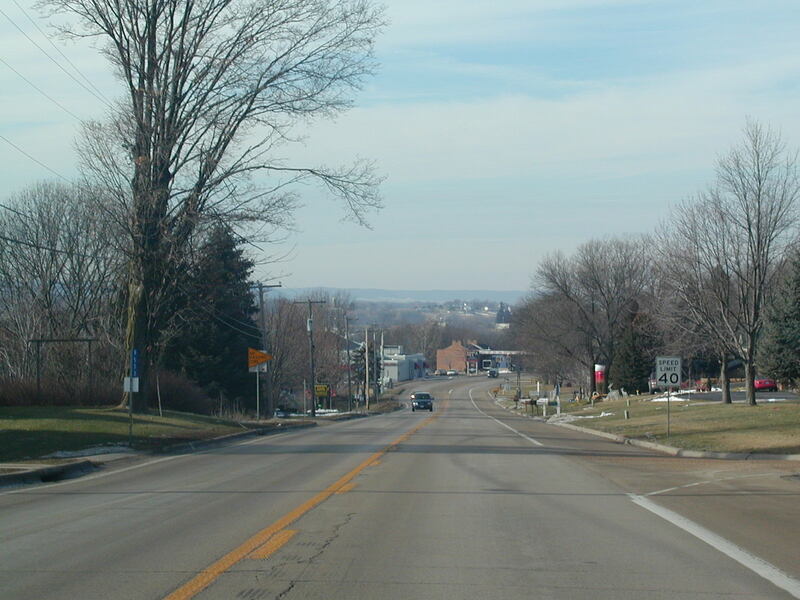 We turned back at Genoa, on WI 56 (a great road) and shortly after it got too dark to take any more pictures. 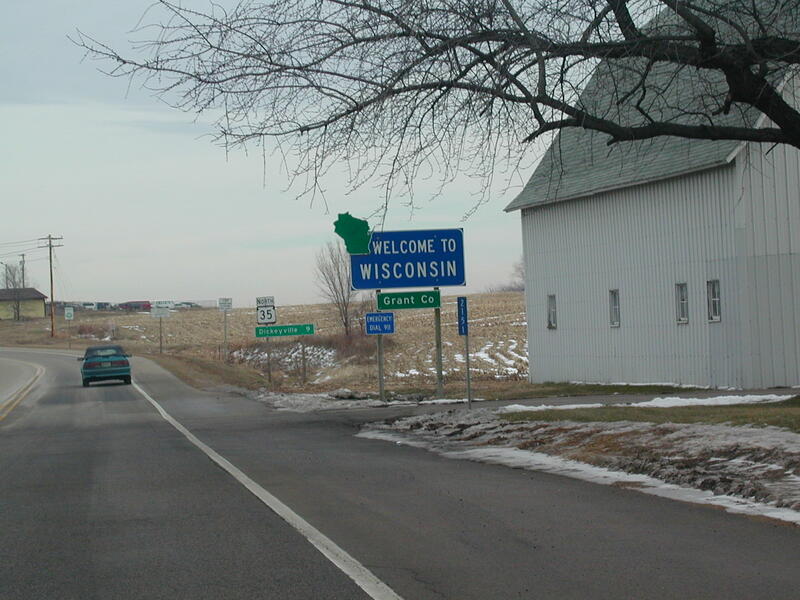 So sue me, about a third of the pics are in Illinois and this is the Wisconsin page. Enjoy. 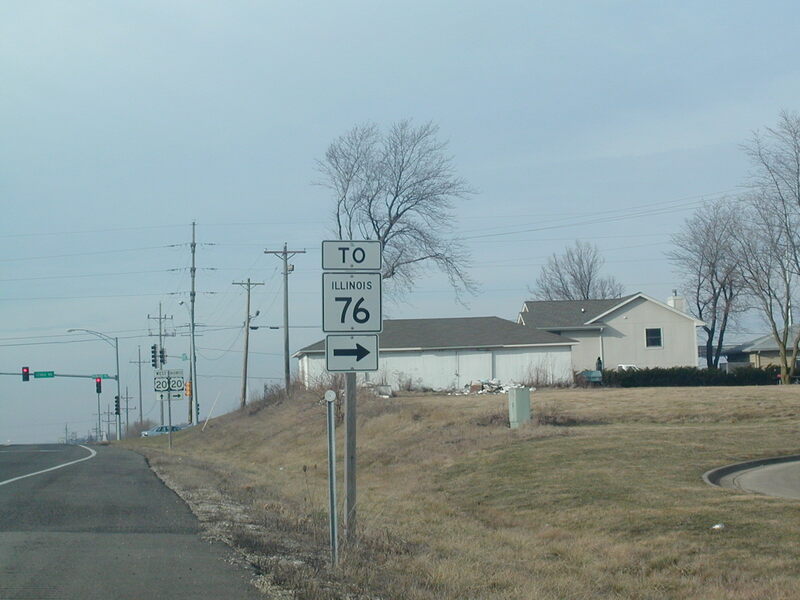 The first picture of the day is near Belvidere, IL, where US 20 goes close, but not quite, to IL 76. 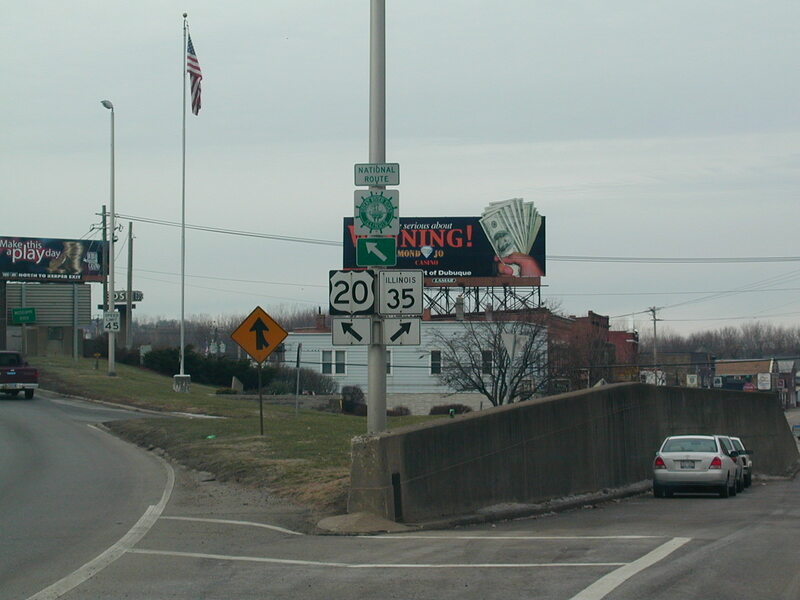 US 20 has a business route in Freeport. 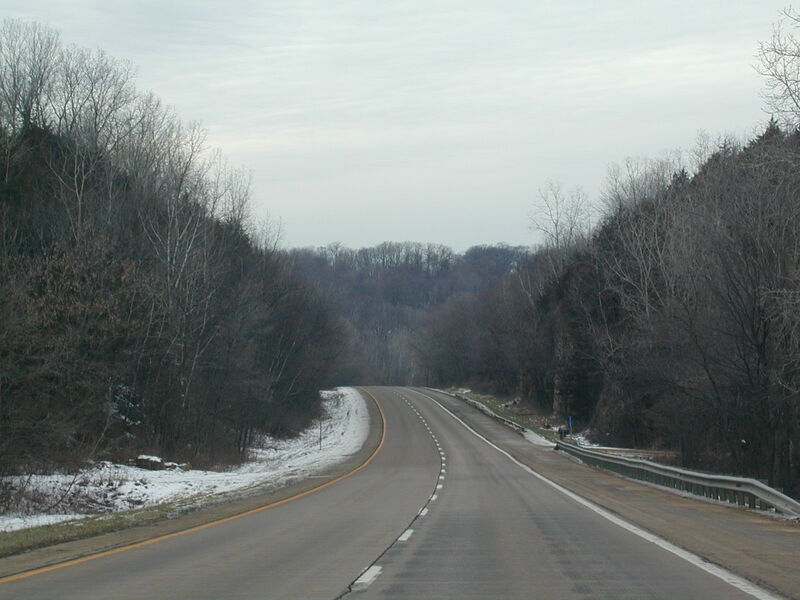 The Freeport bypass US 20. 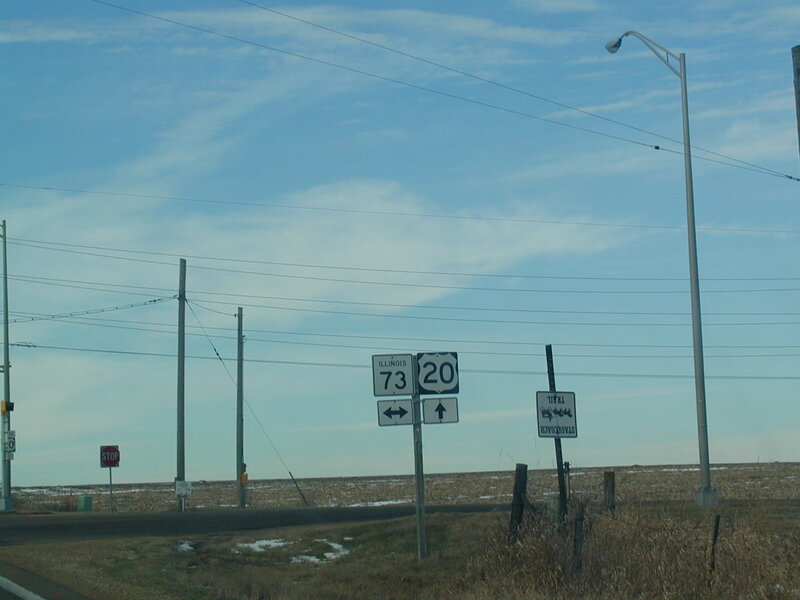 US 20 West at IL 73. 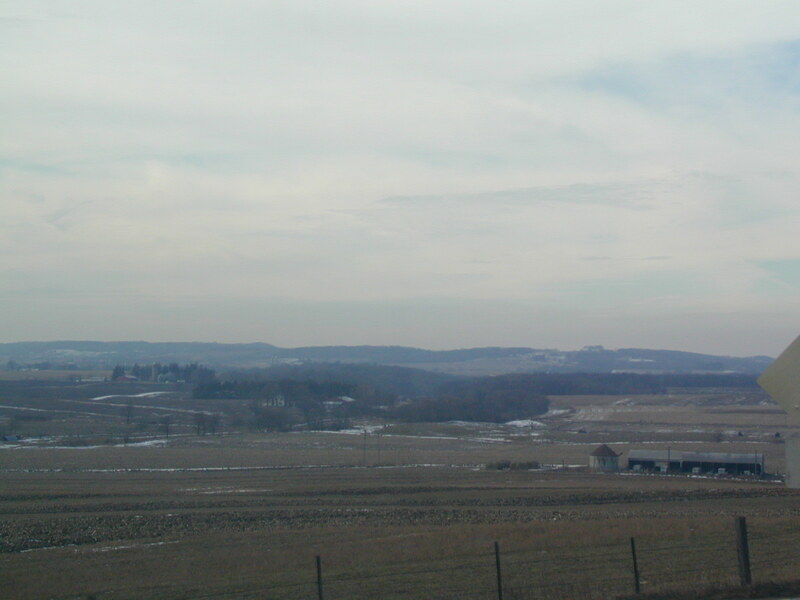 Pretty scenery on US 20. This is one of the most scenic parts of the state right here. 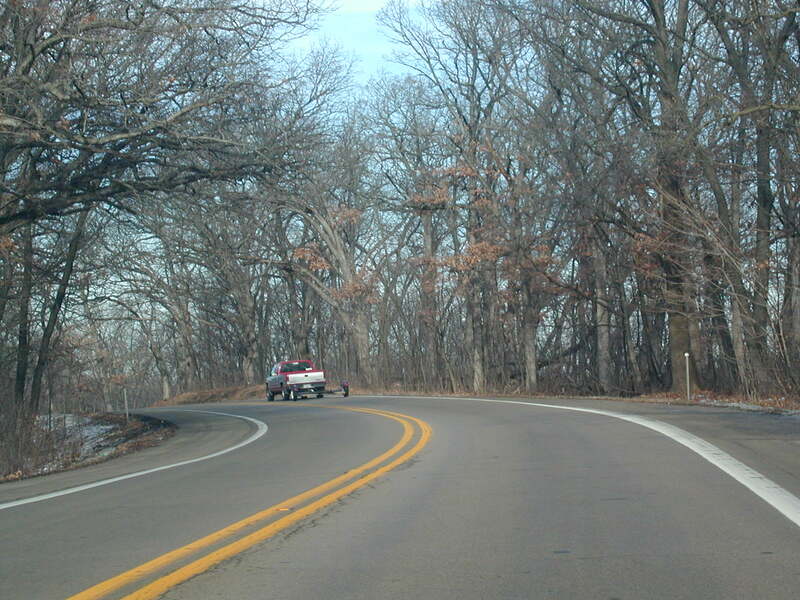 Route 20 is a great road west of Freeport. More prettiness on Route 20 WB. 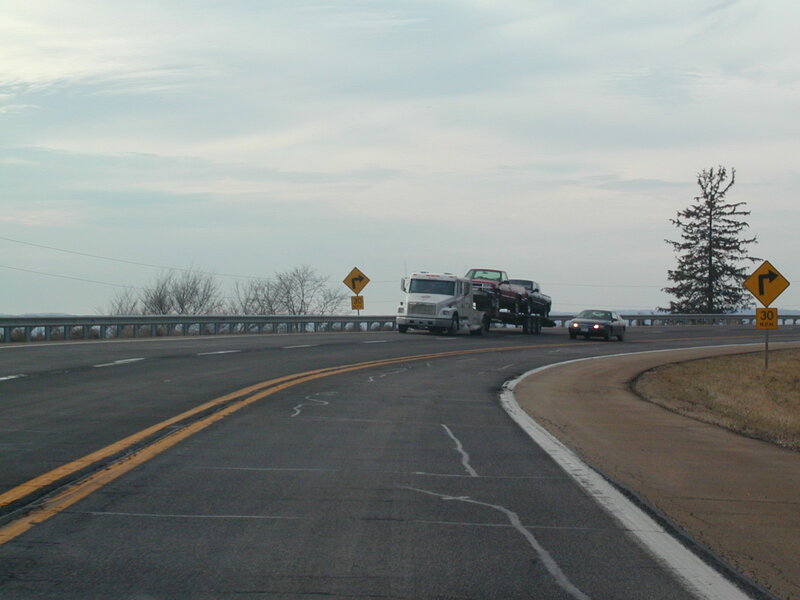 A sharp curve on US 20. 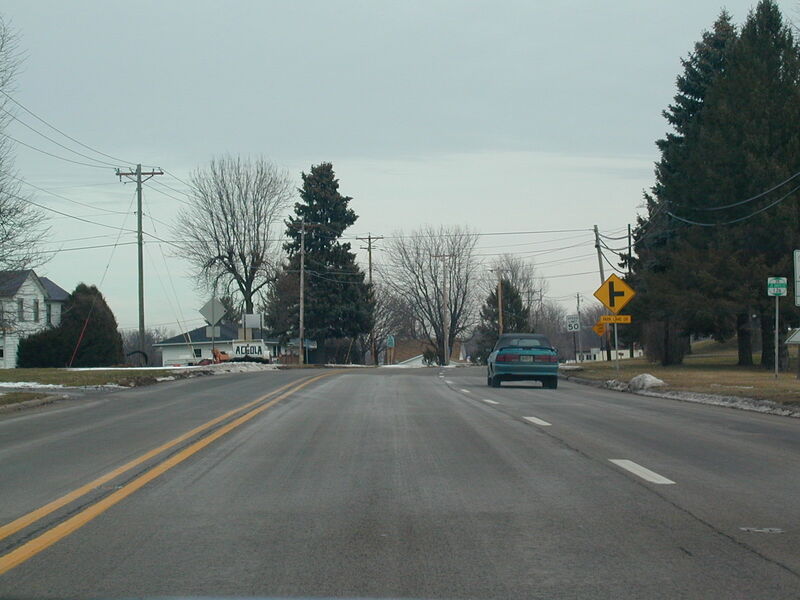 US 20 in Elizabeth. 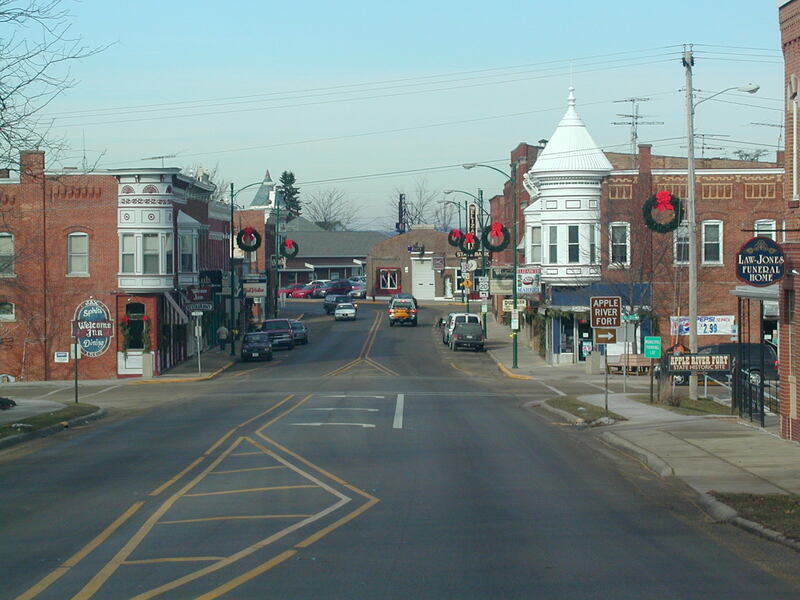 This is a quaint little town, no? 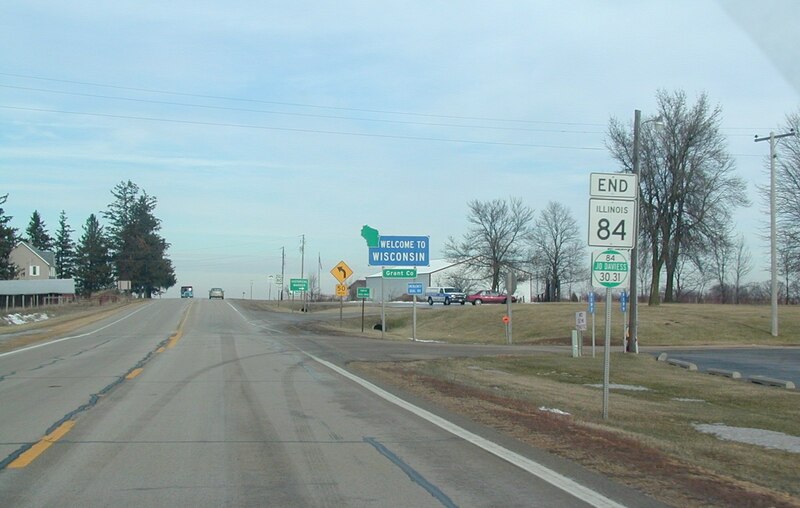 IL 84 and the Great River Road join US 20 here. 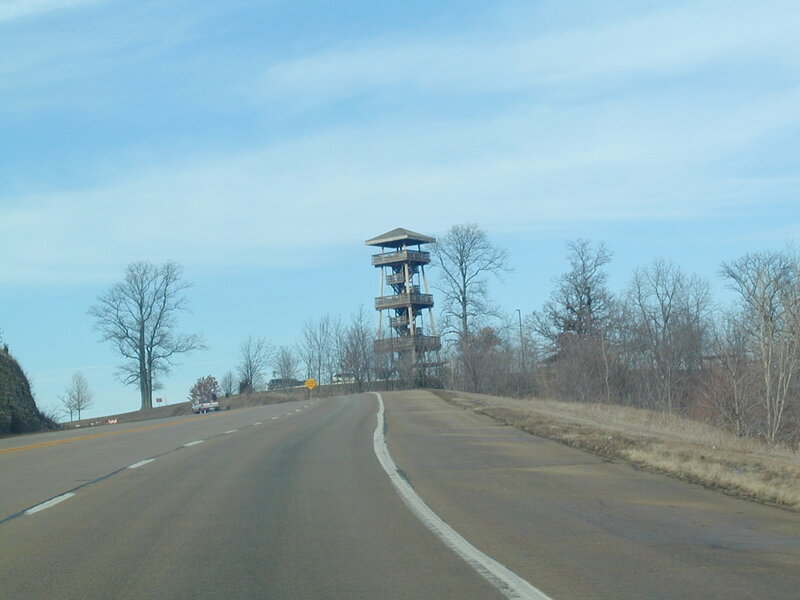 A lookout tower on US 20 and IL84. You can see a lot of the area from this tower. 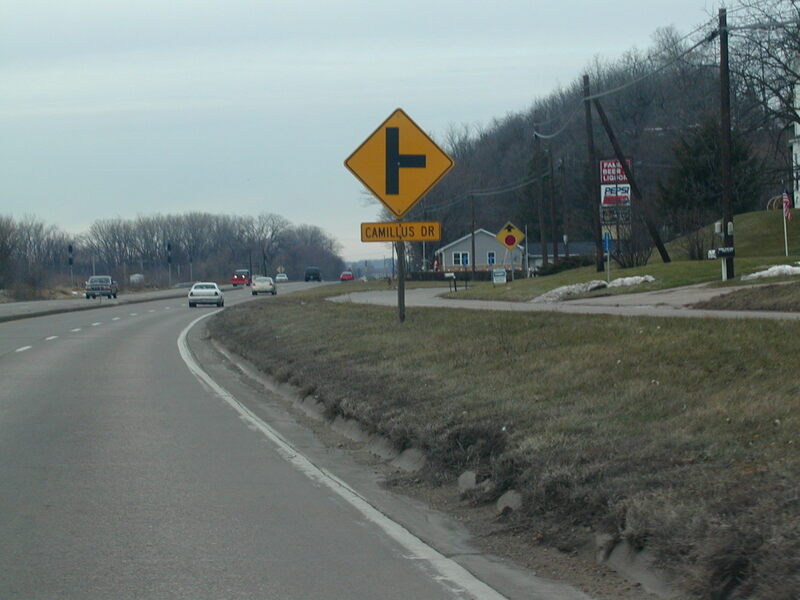 A curve on US 20 and IL 84. Still on US 20 and IL 84 West. 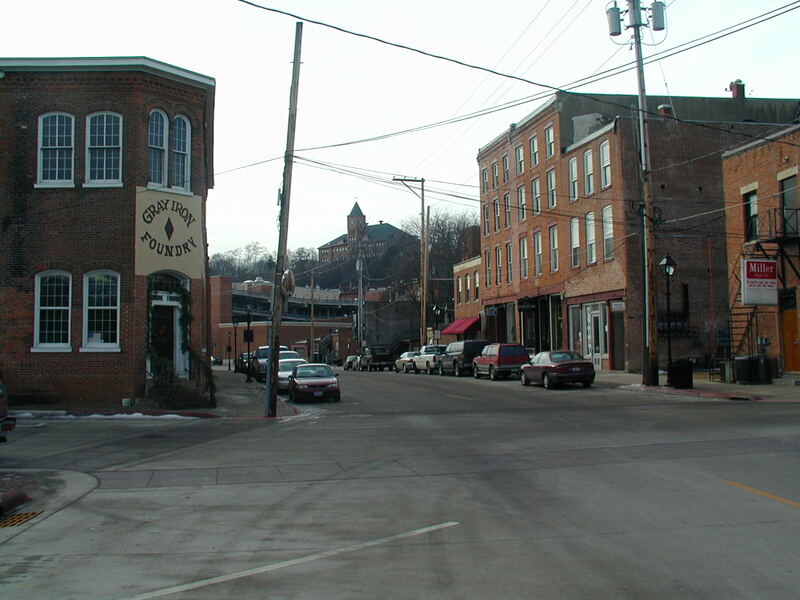 Coming up on the historic and pretty town of Galena. 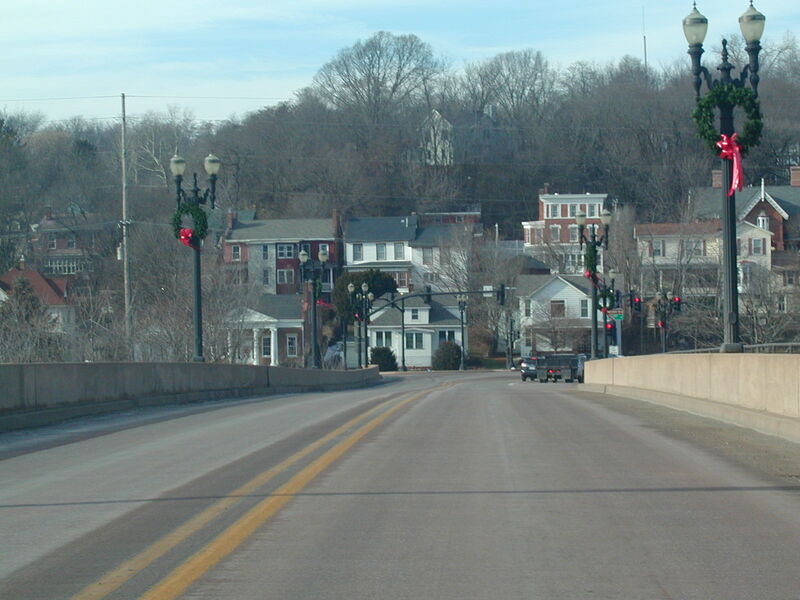 Approaching downtown Galena. 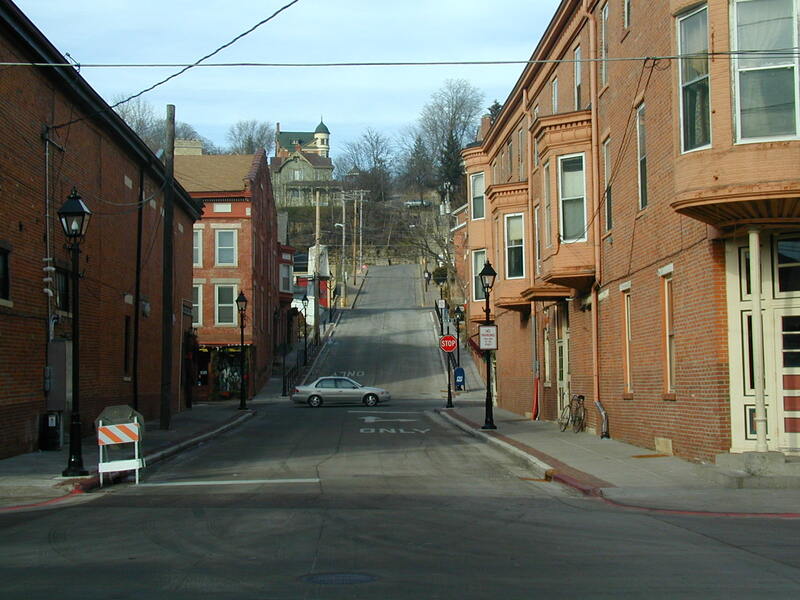 Galena has levels because there are high hills right in town. The place is cool enough for Ulysses S. Grant to have made his home here. Looking up at another level of Galena. 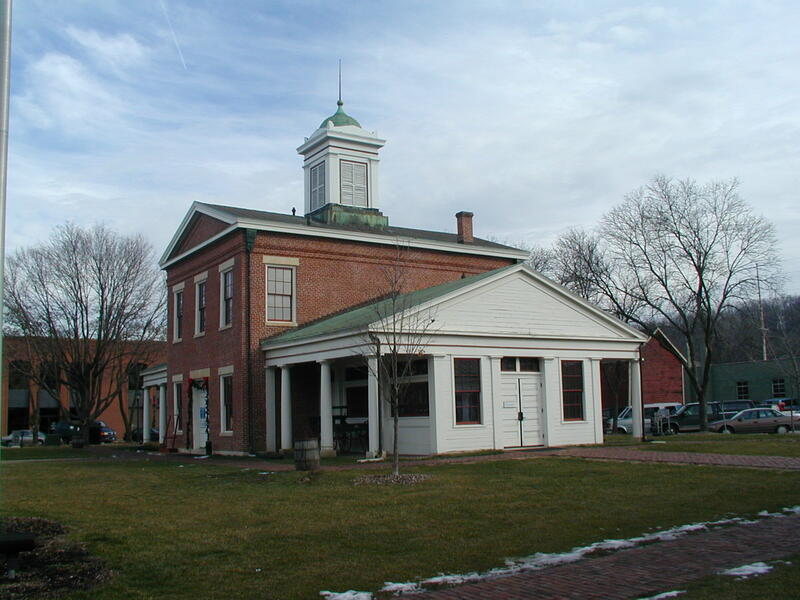 The Old Market House in Galena. I don't necessarily know the significance of this house. More Galena. 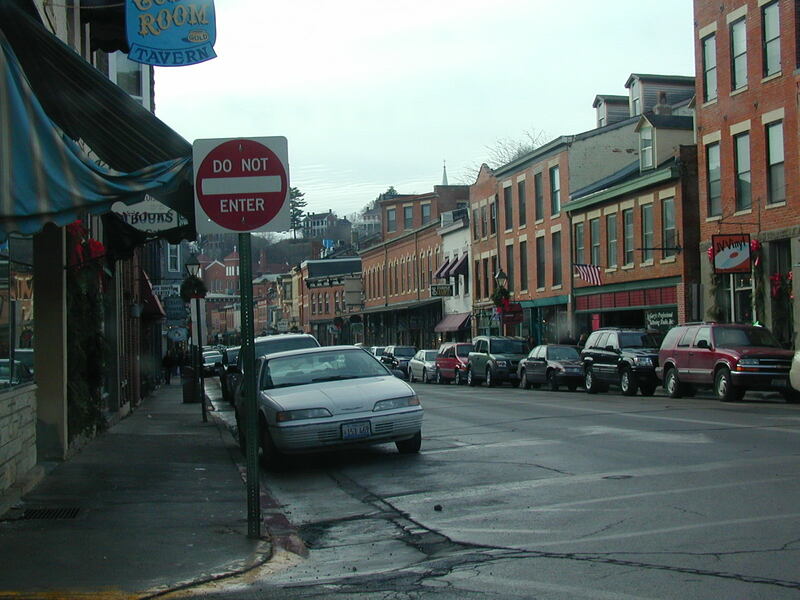 This is Galena's tourist corridor, where there are lots of antique shops and coffee/candy stores. 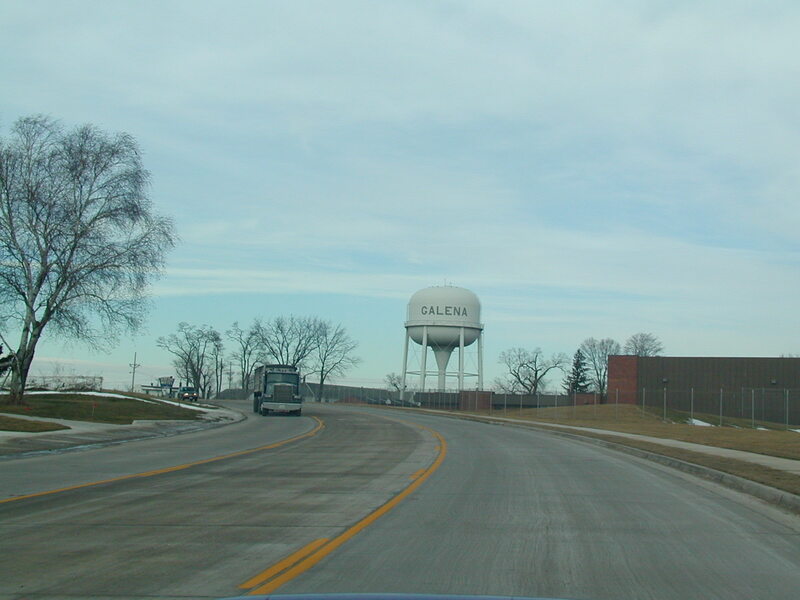 The Galena water tower. 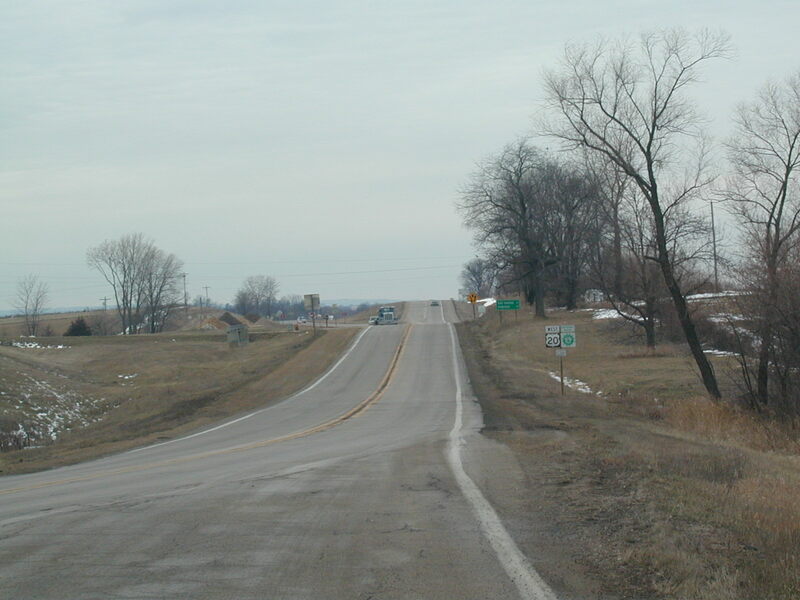 End IL 84 at the Wisconsin line. This was just a little side trip to clinch IL 84. 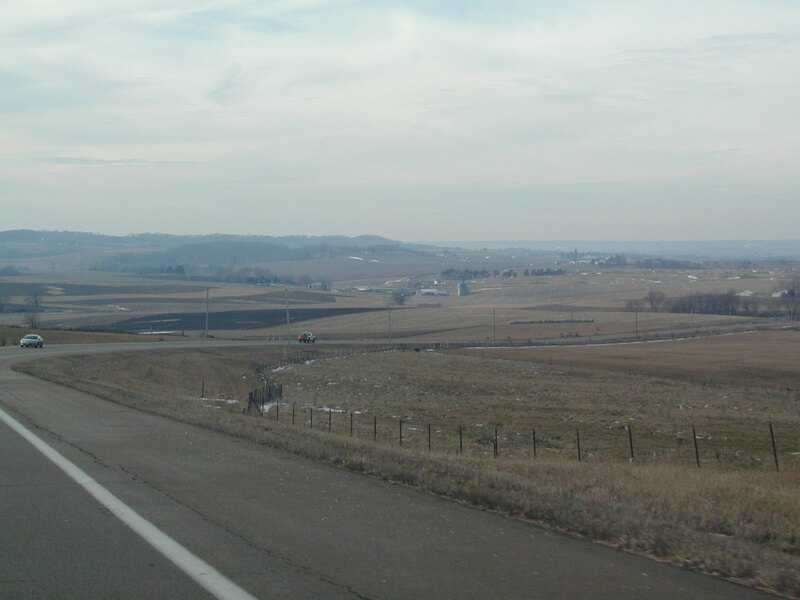 US 20 West where the expressway to Dubuqe begins. 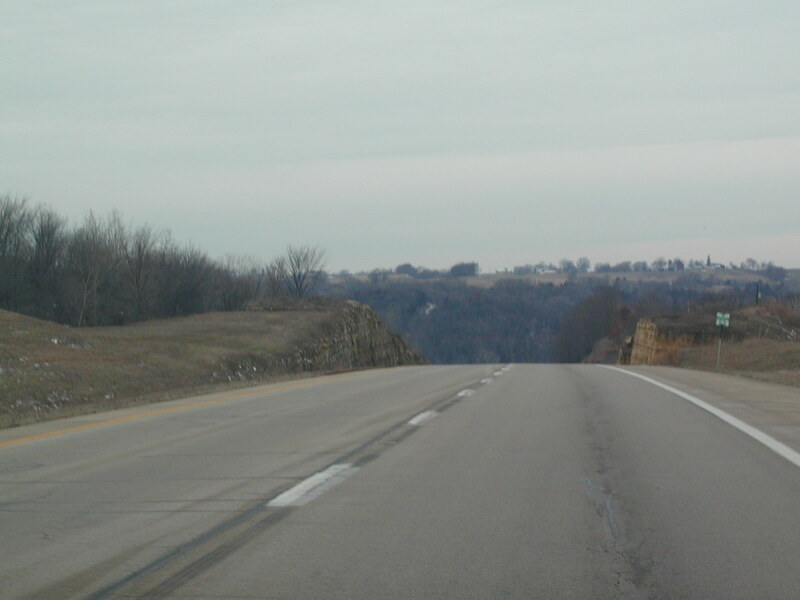 The old alignment follows the westbound lanes and the eastbound lanes are new construction. By new, I mean in the scheme of things. This is an old freeway. 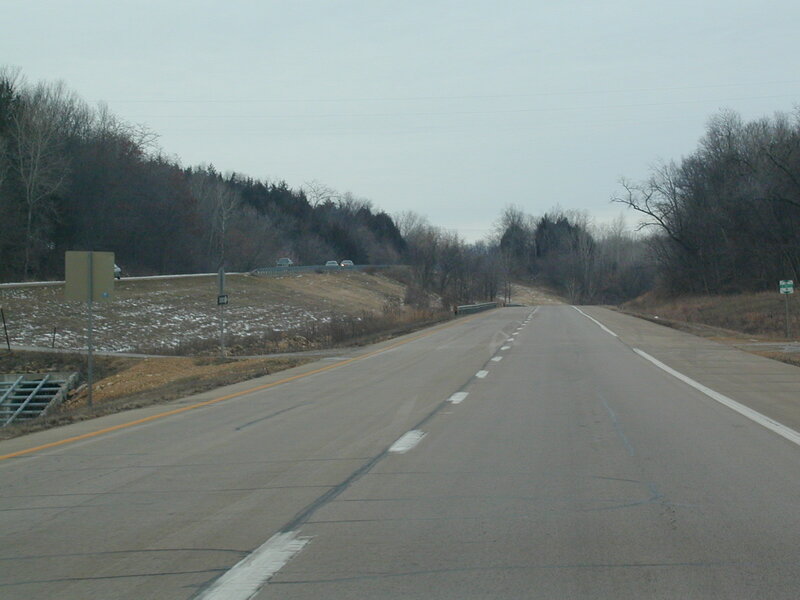 US 20 has a wide median here. 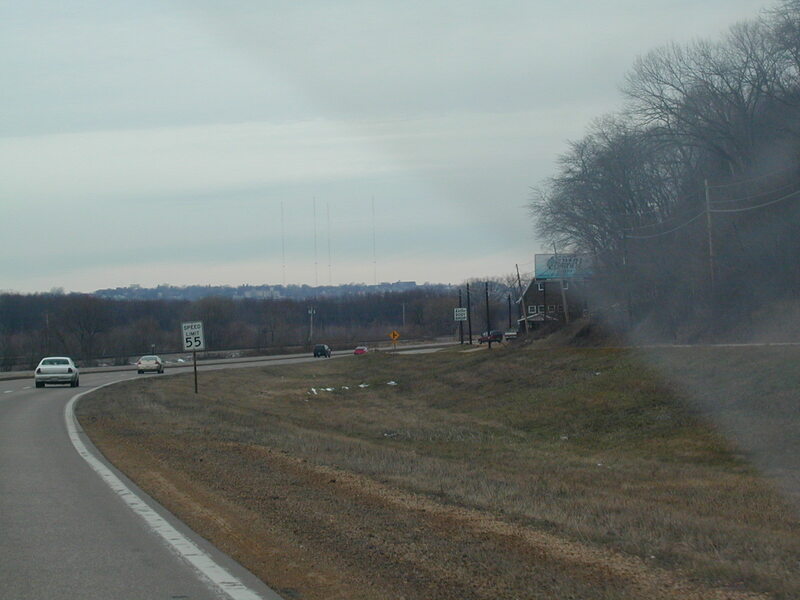 The speed limit reduces from 65 to 55 here, as we get close to E. Dubuque. 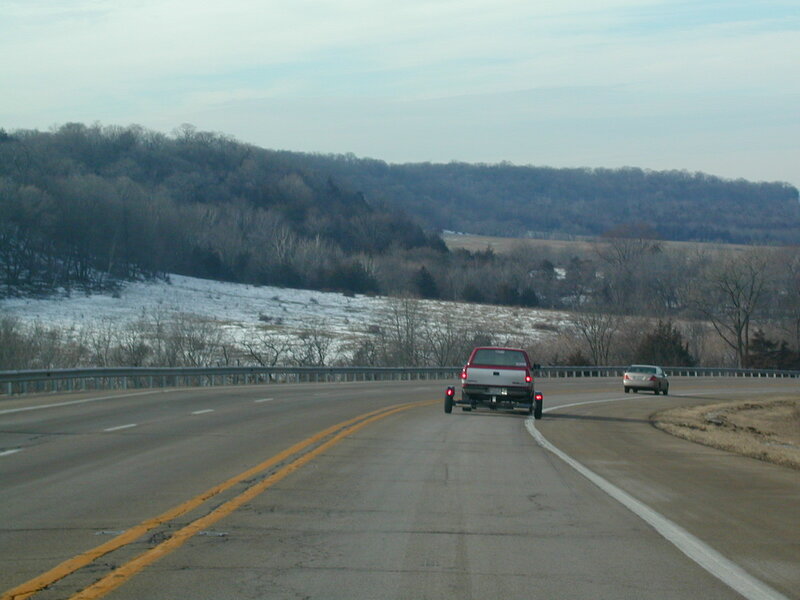 A scene on US 20. 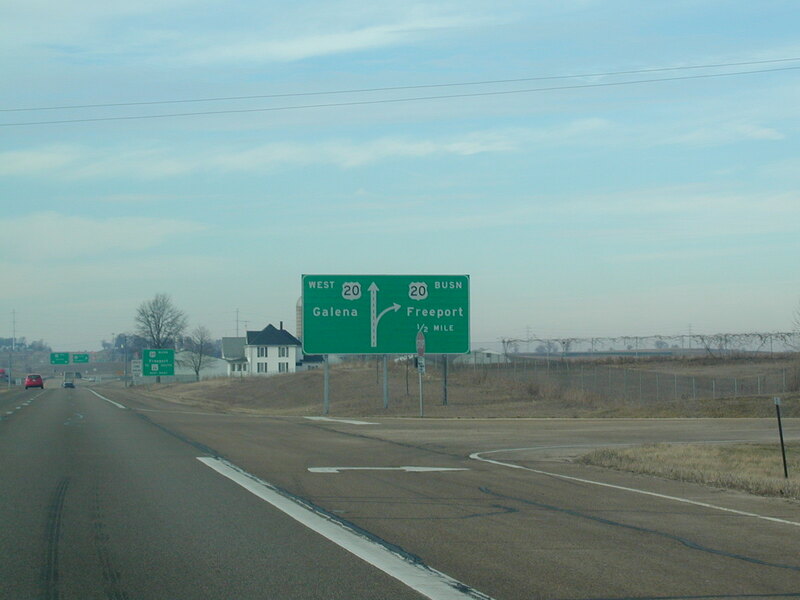 US 20 splits to the right, and immediately crosses the Mississippi, while IL 35 curves northward for a few miles until the state line. 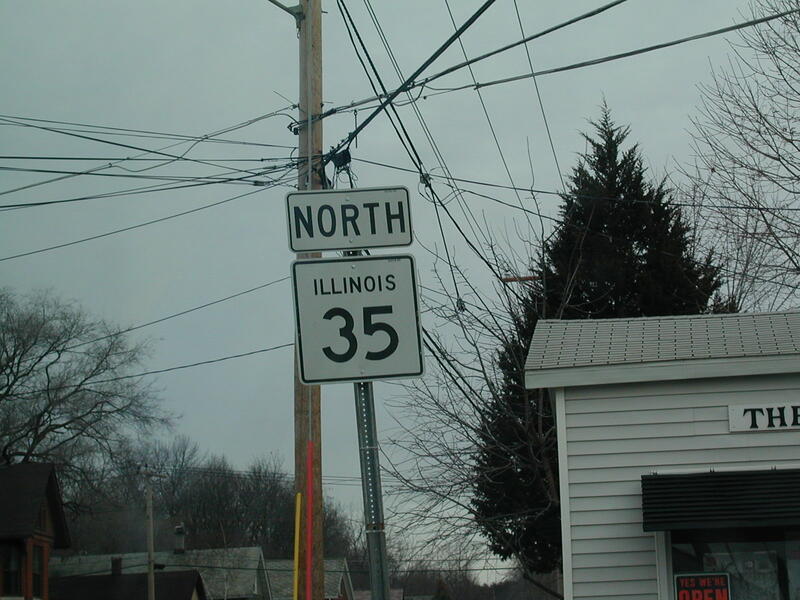 IL 35 is one of, if not the, shortest state highways in Illinois. 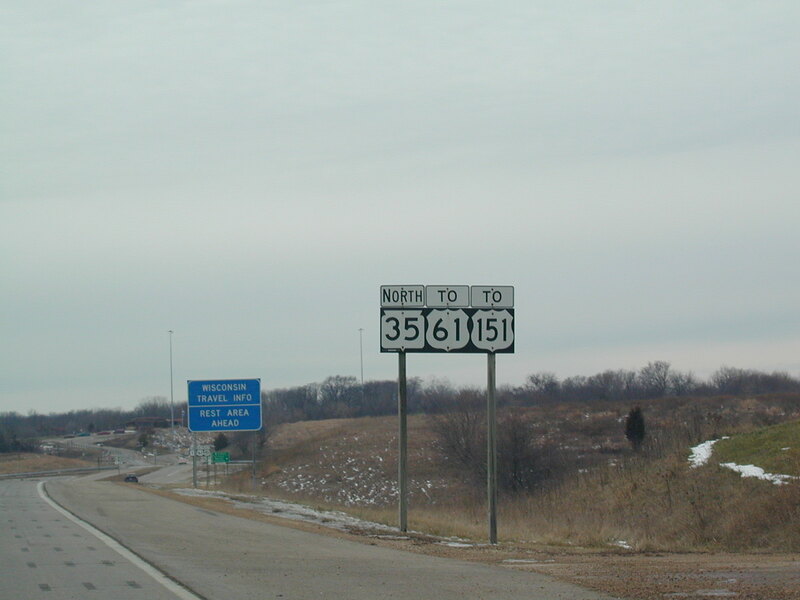 North IL 35 in East Dubuque. 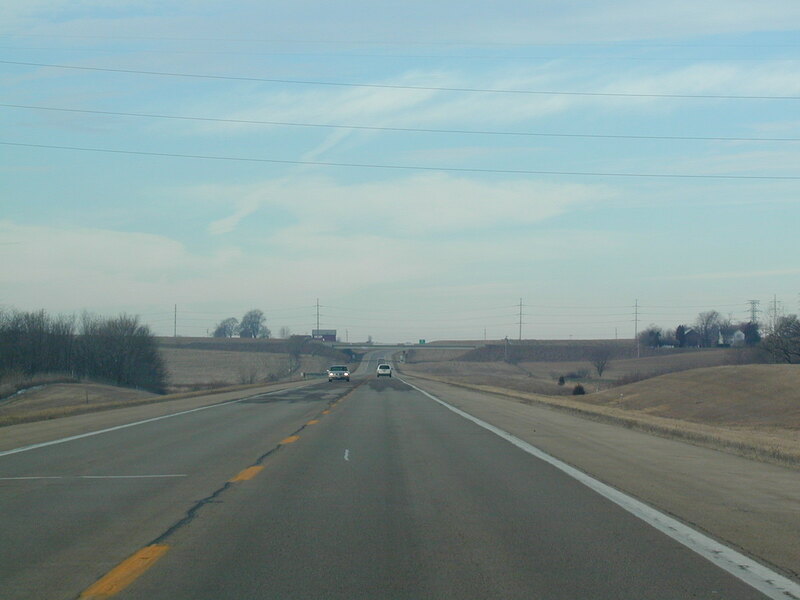 A scene on IL 35 North. Welcome to Wisconsin on IL 35/WI 35 North. 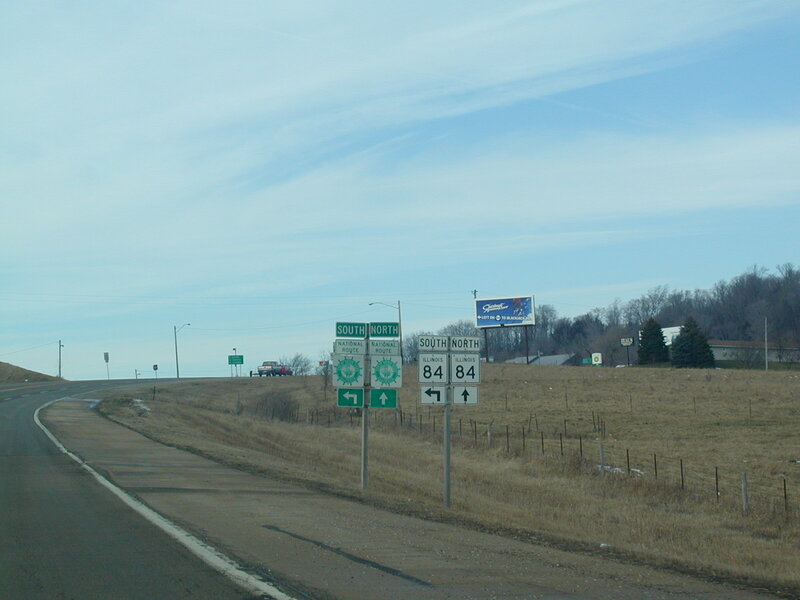 WI 35 to US 61/151.